Happy Friday everyone! Can you believe we only have three more weekends before Christmas? I feel like it came so quickly this year! I am heading somewhere warm the week before Christmas so I feel even more of a sense of urgency to get everything done next week! EEP! 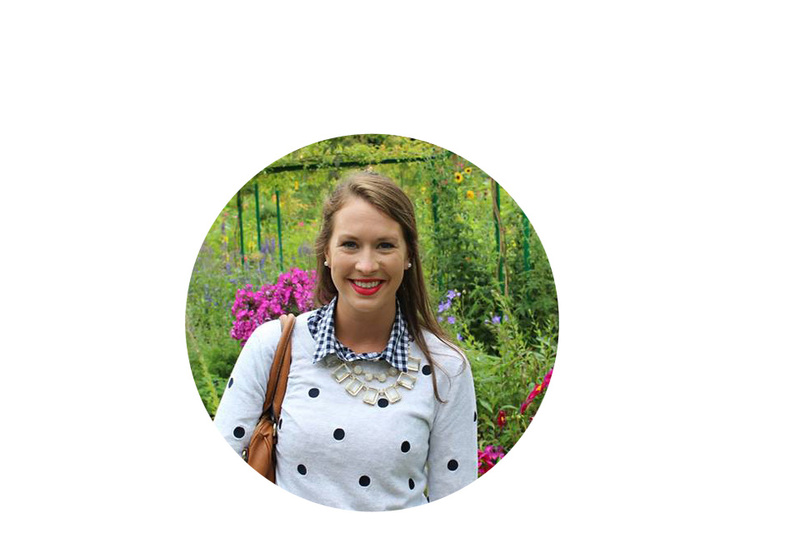 I am heading to Iowa for a wedding this weekend and am so excited! I went to college at the University of Iowa and that is actually where I met my husband Dave...we have not been back in Iowa city together since I graduated. We hope to stop for lunch at the restaurant we had our very first date at! Hope you have a fabulous weekend!! 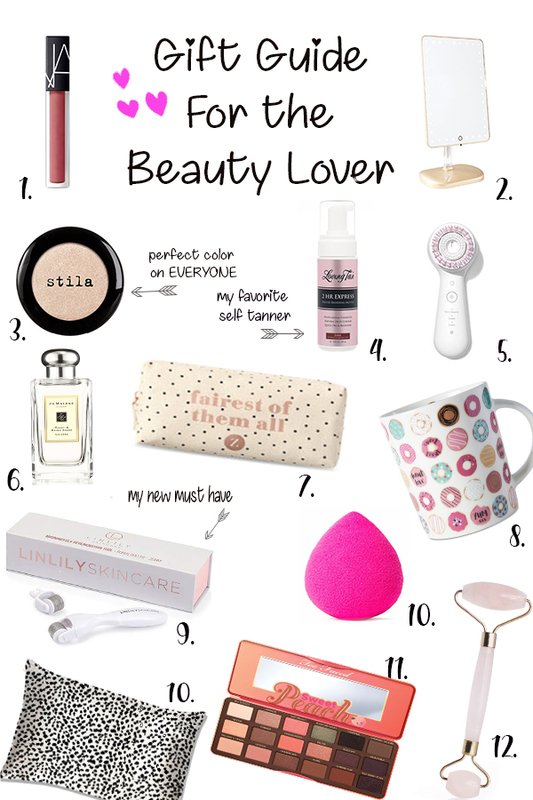 Here is my gift guide for the beauty lovers in your life!! I love all of these items so much and I'm sure anyone on your list would as well. This lipgloss is amazing and I love it in the color bound! The Jo Malone perfume in Peony and Blush Suede is an absolute favorite of mine, if you have not tried this brand before you definitely should! I received this dermaroller as part of a collab a couple of months ago and I cannot tell you how much I loved it! I use it with this vitamin C serum and I feel like my face is so much smoother, and brighter. Let me know of any other beauty favorites you have, I am always looking for new things to add to my collection! I absolutely love the style of this dress and have been hunting for one for a while now. I loved the print on this one but how I could pair it will all black for a sleeker look. It is perfect to wear with my favorite over the knee boots that are still on major sale right now!! I took these photos last week and all this beautiful snow is already gone, I love when the city is covered in snow! Tried & True - My FAVORITE baby items!